How to Bypass SMS verification of An App/Website? 1 How to Bypass SMS verification of An App/Website? 3 Here is a list of some websites. As Android has become the most commonly used mobile OS these days, we often try to download the app and sign in to websites. To verify they ask us for confirmation. They send OTP for your registered mobile number for verification if you don’t have a mobile or don’t want to use it then Bypass SMS verification at the end of the article you will get know how to bypass SMS verification. OTP is an automatically generated alphanumeric character set that is used to validate the user for every single transaction. The OTP is sent by the website/ app to verify the authenticity of the registered user. Verifying mobile number is a must in almost every website/ app. But if you are not willing to provide your mobile number due to privacy issues or any personal use, then how to verify? They use your details and send spam SMS and calls to the registered mobile number. They are very irritating at times. you can provide a fake mobile number and can verify your identity. Bypass SMS Verification of an app/website. 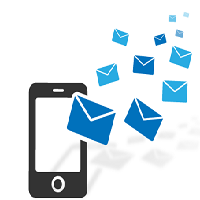 There are an ample number of sites which provide fake number service for the SMS verification. They have a good list of fake phone numbers from different countries to provide their service throughout the world. One of such websites is receive-SMS-online. • Browse through that site. • You can choose from the list of mobile numbers from your country and can enter it as your mobile number and click on “Send verification code”. • Click on the Number you choose. It will redirect you to the inbox of that number. • Open the disposable inbox, and you will find the OTP there. Use this TP code and enter it on your device verification SMS place. • Your mobile number will be verified successfully without using your mobile number. Here is a list of some websites. No need for registration in this website to use this service directly, You can verify SMS from countries like Netherlands, united states of America, and much more. below link will be opened in a new window. Now how to use this service?????????????? Find a number from this website enter that number where it is asked in other websites, then on this site, it shows the update of the message, then you can simply use that otp. preferred as it contains more countries otp mechanism. From this website, you can buy virtual numbers, with virtual accounts, Mostly this website works with the USA numbers, simply verify your number as USA number. Now you can get free USA mobile numbers, simply use the USA mobile numbers to receive SMS online. You can use this to verify the email accounts like Gmail, yahoo mails, facebook, amazon etc. if you are wishing to use the bypass verification for the USA this is the best choice. This is the best site that I recommend to bypass SMS verification, it contains 15+ countries number, all you need to do is simply enter the available numbers where they are required and need to refresh the page, yoo can create facebook profiles with this service for temporary usage. Note: These are the websites which are just used to at the apps/websites where you are well aware of those using spams. But for banking and financial websites or retail websites, you enter your own mobile number to verify to avoid further complications. These are the few websites that offer free OTP to Bypass SMS verification if you have any problem with bypass SMS verification.Stay tuned to tricks6. Keep visiting.